Noor a drama film based on a Pakistani novel titled 'Karachi, You're Killing Me!' by Saba Imtiaz, stars Sonakshi Sinha in the title role. As oppose to the novel that follows the life of a female Pakistani journalist living in a volatile city like Karachi, the film is set in Mumbai and revolves around a smart but out-of-luck journalist named Noor Roy Chaudhary who is tired of her failures and missed opportunities, both on the professional and personal front. Although Noor has the rare ability of smelling sensational stories, she gets little support from her boss. The only thing that frustrates Noor more than her boss is her love life which is rife with misadventures. Noor is like a breath of fresh air and anyone who watches it will remember it long after the end credits stop rolling. Here is a film that succeeds in achieving a balance between entertainment and food for thought without trying too hard. 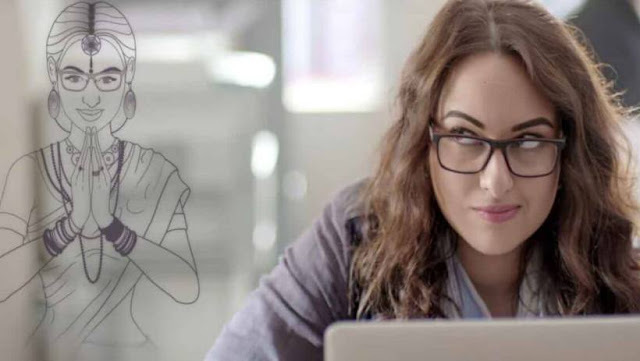 So, without much ado, let's discuss the various factors that make Noor stand apart amidst a myriad of run-of-the-mill films that Bollywood keeps on churning. 1. Light hearted humor that sets the mood. Noor's light-hearted humor sets the tone right from the very beginning. As viewers, we are hooked to the story and the characters just minutes into the movie. That's exactly what good storytelling is all about. 2. Sonakshi Sinha's spirited performance. Noor couldn't have come at a better time for Sonakshi Sinha. Her recent films like Akira and Force 2 didn't perform as per the expectations. In fact, it can very well turn out to be a career-defining performance. Noor is your ideal girl-next-door character but at the same time, she is also a career oriented woman. These two seemingly contrasting traits make her unique in her own way. At the same time playing such a character is never easy and that's exactly where Sonakshi Sinha triumphs. Without missing a single note, she delivers a highly convincing performance that tugs at our heartstrings. 3. Movie's fast pace gives it a nice rhythm. The movie is perfectly paced. The taut editing gives it just the right rhythm. Modern audiences aren't accustomed to watching long films that go on endlessly. Clocking at 1 hour 47 minutes, Noor is neatly packaged and manages to tell an important story without appearing too preachy. 4. Purab Kohli's cool act as a mysterious war journalist. Playing mysterious war journalist, Purab Kohli delivers a brilliant performance in Noor, perhaps his finest since Rock On. What makes him look so enigmatic on the big screen is that he can emote whenever it's needed and can be a poker face if he wants so. Now, it is the job of every actor to lie, cheat and pretend to be someone he or she isn't and do so with conviction, but not everyone can look natural at it. Kohli, however, has the rare gift and it is on full display during his brief but important role in Noor. 5. Offers a refreshing take on modern relationships. Noor's refreshing take on modern relationships is commendable. Bollywood keeps churning our movies that claim to tackle modern relationships but only a few succeed in capturing the nerve. Noor is one such film which succeeds in hitting the right note. 6. Dares to take swipes at the unethical journalistic practices. We all have experienced yellow journalism in one form or the other. The so-called sensational news that keep breaking out every hour in today's age of 24/7 live television has had a menacing effect on the society. Noor dares to highlight the unethical practices associated with modern-day journalism. It is an eye-opener for one and all. Noor offers a powerful socio-political commentary on the sorry state of affairs in Mumbai. But, Sonakshi Sinha's haunting monologue on Mumbai's plight, the deep-seated corruption, the disconcerting indifference and hollow emotions is as pertinent to Mumbai as it is to every other city in the world. 8. A peppy item number featuring Diljit Dosanjh and Badshah. 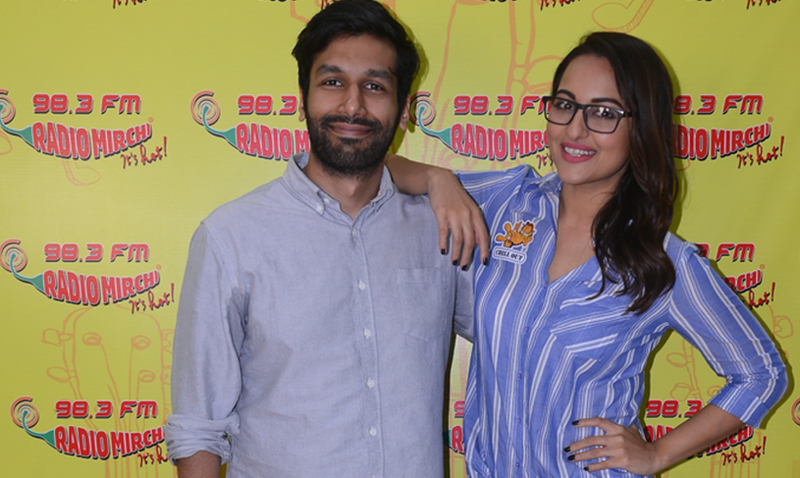 Noor is high not just on food for thought but also on entertainment as evident from the cool party number titled "Move Your Lakk" featuring Sonakshi Sinha alongside Diljit Dosanjh and Badshah. Watching the trio rock the dance floor is a sight to behold!